Holiday season is in and as much as we wanted to enjoy, we wanted to relax too. We were in no mood to go n a long holiday too far from home. 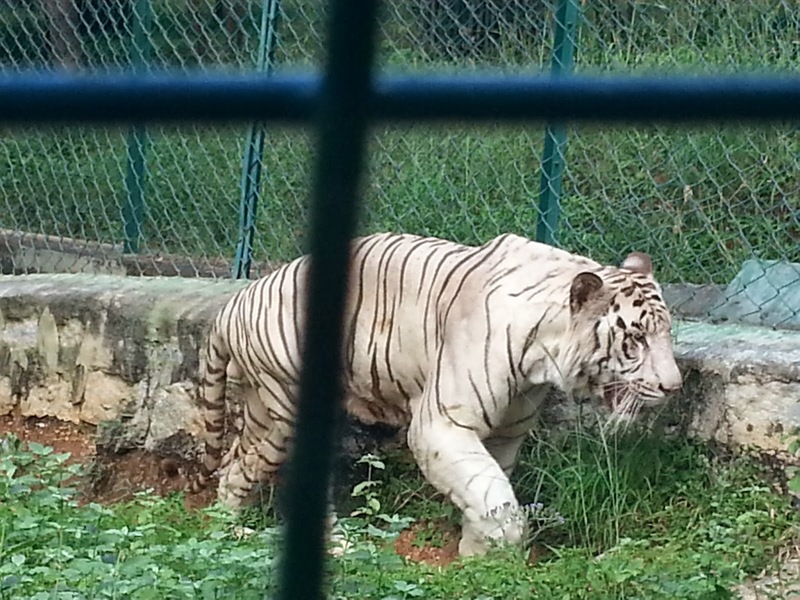 That is when I chanced upon a visit to the Bannerghatta Nature Camp. 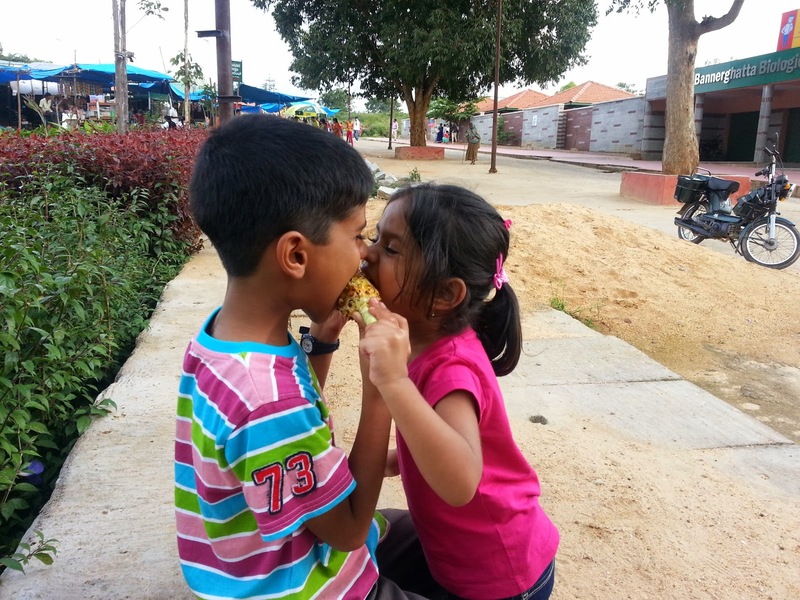 We had been thinking of taking the kids to the Bannerghatta zoo for a long time anyway. But what M and I are not great fans of is returning home dead tired after a Morning till late evening outing. We rather prefer to stay overnight, take a time-out for the kids and ourselves. 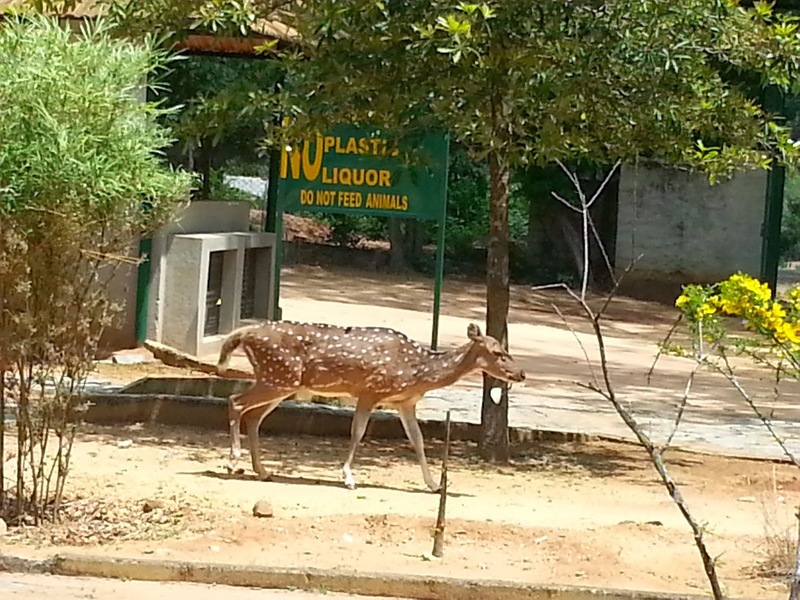 And therefore, Bannerghatta Nature Camp, it was! We stay about 35 kms away from the Nature Camp, which was equivalent to about 1 hr 15 min drive. The check in time being 12 pm, we left around 10:15 and were there by 11:30. The officials were very prompt and welcoming. They made calls in the morning informing us about the route and specifically mentioning that we should not be reaching the zoo. The log hut is modestly but conveniently done. There are 2 twin single beds, which could be joined and 2 adults and 2 kids could accommodate quite ok. Ofcourse you cannot sleep teh way you do at home, but that was not a reason for us to complain. The room smelt refreshingly well, and bathroom clean, with good supply of fresh towels and handmade lavender-coconut soap. It is very common to see deer in the camp chewing sumptuous green leaves. They seemed quite friendly and harmless. Ofcourse, there were a few with horns, we stayed away from them though. The lunch was served at 1, which was nothing elaborate but very hygienic and delicious. There is no fanfare about non vegetarian options, except for a chicken biryani. We stuck to vegetarian meals owing to the Navrathris. After resting for a while, our Grand Safari van was waiting for us by 1:30 pm. The guide was a very sweet guy, very passionate about wild animals who encouraged us to take pictures wherever we wanted and answered all our queries very patiently. Now about the Grand Safari. Just one word: GRAND! Ok….so a few more: Wonderful, eye opener, humbling, gorgeous and amazing…. The Bannerghatta Safari is an enclosed environment where the wild animals are divided, bred and taken care of under different territories and fed by the jungle authorities.Check out the pics, these are all taken from inside the van. The next came the trip to the butterfly park. In many of the reviews I had read before, it was mentioned that this can be skipped and it was no big deal. But we felt otherwise. It was beautiful! Butterflies everywhere in different sizes, colours and shapes. There is a museum too where we can read more about the insects and the life cycle of a butterfly. The last stand was the zoo, which was honestly not that great. Maybe because we had seen the Safari before it. 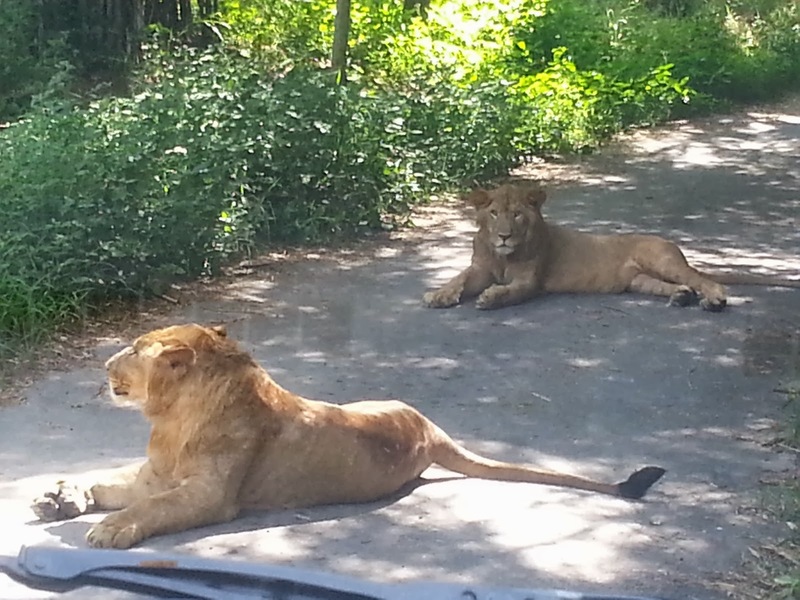 After seeing the wild animals so close, the zoo did not fascinate us too much. 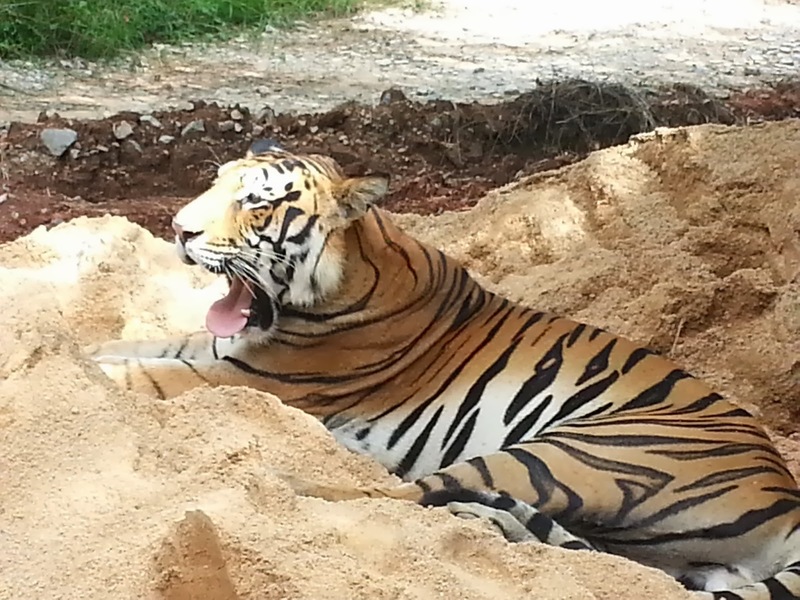 I also felt that the Mysore zoo is much better. But no complaints. There are a lot of stalls just outside the zoo, which was enough to satiate our hunger around 4-ish. There were a few bro-sis moments too which we could capture. There was hot coffee, tea and biscuits waiting for us when we reached the camp back. Dinner was served at 8:30 pm after a camp fire. Having hot soup near the fire was a lovely cozy experience. Thought there was an AC in our room, but it really is not required. The fan was more than enough and the sleep was good. If there is one thing which could disturb you, could be the presence of monkeys. They were like everywhere…Oh my! But its not that bad either. The authorities keep a control and check on them. Milk is available on call for kids. Do keep a stock of snacks for children and yourselves. There are no stores inside the camp to but eateries. Be dressed in casuals and wear sports shoes for ease and comfort. Carry caps and sun glasses for sun protection. Being within a jungle comes with perils of mosquitoes. But the authorities do keep a tab on it by fogging medicines and giving mosquito repellents in the room. Be mentally prepared to be around monkeys, animal sounds, and an eerie silence at times. 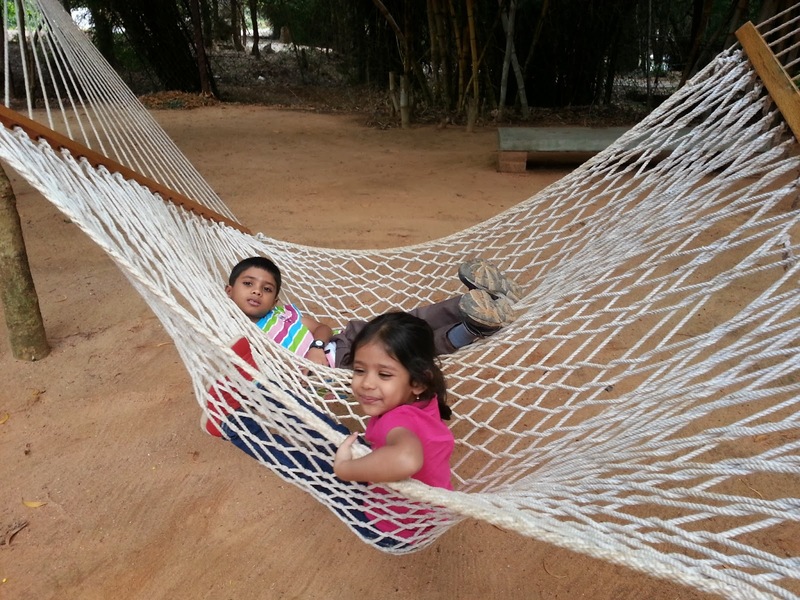 Bannerghatta Nature Camp is a must visit for kids and adults who love to know the jungles and the wild animals more. Growing up is fun, Amma! 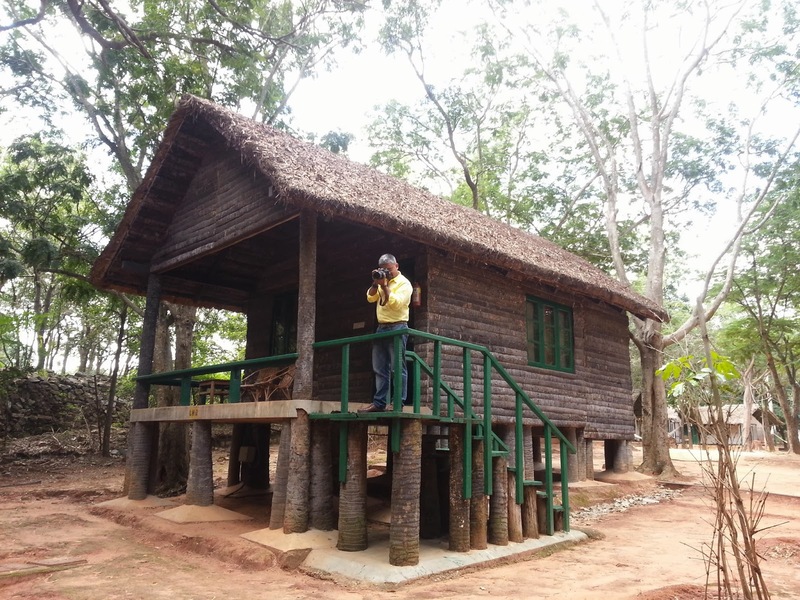 well written and driving the readers crazy to visit this place, specially after seeing the tree house. 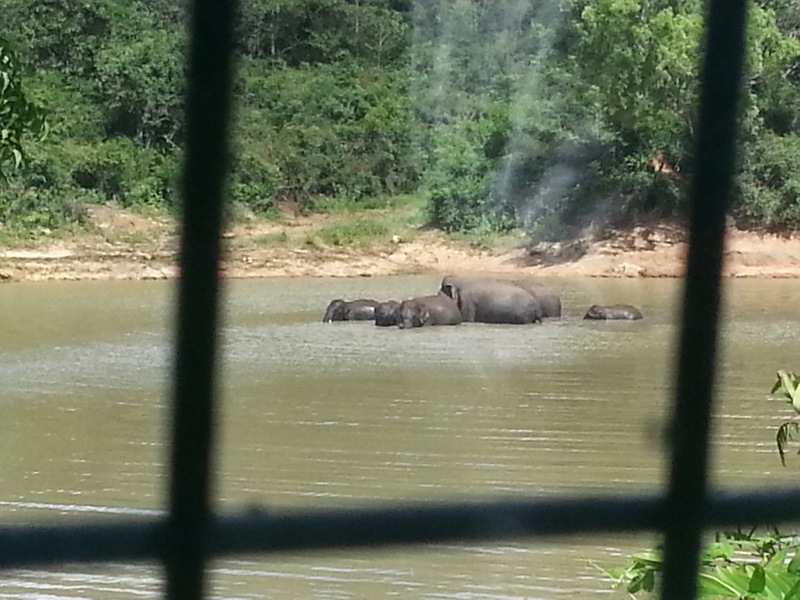 you do write travelogues well… I remember the ooty one, and now this one… we recently went for one day outing at the zoo… and as you said came late tired.. this time the grand safari was worth the price… last time when we went very few animals were there. but we did not see elephants or the lake..i wonder whether they show the elephants also for the regular ones.. or was it because of the overnight stay special safari?? BTW, we were told that the safari given under the over night stay deal is much better. It is detailed, slow and they patiently explain all your queries.